The earliest modern school of psychological therapy was arguably hypnotism, or “hypnotic therapeutics”, founded by the Scottish surgeon, James Braid, in 1841. Hypnotism spread to France after Braid’s death in 1860, where it gained popularity and the term “psychotherapy” was coined to describe hypnotic therapy and related methods. Hippolyte Bernheim, at Nancy, and Jean-Martin Charcot at the Salpêtrière hospital in Paris, set up rival schools of hypnotic psychotherapy, which flourished in the 1880s. Prior to developing psychoanalysis, Sigmund Freud studied hypnotism, attending both Bernheim and Charcot’s lectures. Freud’s first book on psychotherapy,Studies in Hysteria (1895), described his hypnotic “catharsis” method, the precursor of psychoanalysis proper, which was essentially founded with his publication of The Interpretation of Dreams (1900). Psychoanalytic approaches, derived from Freud and his followers, largely supplanted hypnotism and dominated the field of psychotherapy until the late 1950s, when “humanistic” and “behavioral” approaches to therapy began to be developed. There’s not much evidence of Stoicism having influenced psychoanalysis. However, the fame achieved by Freud has often obscured the fact that rival approaches to psychotherapy existed in the early 20th century. 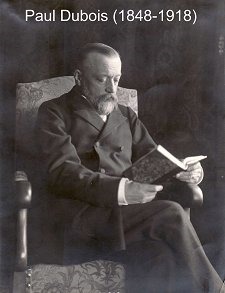 One of the most important of these was the “rational psychotherapy” or “rational persuasion” approach of the Swiss psychiatrist and neuropathologist Paul Dubois, author of The Psychoneuroses and Their Moral Treatment(1904). The impact of Stoicism during this period was mainly upon Dubois and those inspired, in turn, by his “rational” approach to psychotherapy. Dubois believed that psychological problems were due mainly to negative autosuggestion but rejected the technique of hypnotism in favor of a treatment based on the practice of “Socratic dialogue”, with the goal of rationally persuading patients to abandon the unhealthy ideas responsible for various neurotic and psychosomatic conditions. The influence of the ancient Stoics is clear from Dubois’ scattered references to them. He even prescribed reading Seneca’s letters to one of his patients as therapeutic homework (Dubois, 1904, p. 433). With practice, we can learn to monitor our thoughts and challenge the irrational ideas that cause unhealthy emotions and psychosomatic symptoms (Dubois & Gallatin, 1908, p. 56). Dubois therefore often speaks of his rational psychotherapy as involving a form of “stoicism” (with a small “s”) but he closely relates this to “Stoicism” (with a big “S”), especially as he found it in the writings of Seneca. We all laughed at the story, and I realized that it represented not only Adam’s understanding of what we were reading in Meditations, but an example of each member’s attempt to apply it to his daily life. In the previous article I wrote for this site (“Is Stoicism for the Mentally Ill, Too?”), I presented my perceptions of the effect of the clinical use of Stoic principles from the perspective of the clinician. This article is oriented towards the reactions of my clients, all of whom are diagnosed as seriously and persistently mentally ill (SPMI). Recently, the group members shared what they were learning and taking away from the experience. Several individuals spoke up. Adam is recalling passages from Meditations that address human mortality. “Death, like birth, is one of nature’s secrets” (iv. 5). He is reporting that his experiences with Stoicism have aided him in processing emotions more effectively than he was previously capable, and he anticipates that he will be able to do so in the future. “Walter” announced that he found it interesting that Aurelius’ text is “from the old times, and it still applies today!” Aurelius speaks to the permanence of the world: “Everywhere there is change; and yet we need fear nothing unexpected, for all things are ruled by age-long wont, and even the manner of apportioning them does not vary” (viii. 6). The world in its essence does not change, and neither does the worth of Stoic principles. I admit that comment stunned me. Henry is diagnosed with schizoaffective disorder, a diagnosis known for hallucinations, delusions, and mood swings. Despite (or perhaps because of) his diagnoses, he values and places emphasis on the importance of being able to think clearly. He is not the highest functioning member of the group, though he does make great efforts to understand, to ask questions, and to interpret of passages as frequently as possible. Meditations encourages this level of evaluation, saying “if possible, make it habit to discover the essential character of every impression, its effect on the self, and its response to a logical analysis” (viii. 13). as lethargy, weight gain, and impaired memory. Most have resigned themselves to the need for medications to keep their symptoms in check. Medication usage is a matter for clients to discuss with their doctors. My role as a Psychosocial Rehabilitation Worker is to help them increase their functioning by the development of coping skills, and in that capacity, I wonder what could a stoically-trained, yet seriously ill mind accomplish for itself? Stoicism isn’t a treatment for mental illness, but it is a prescription for how to live life well. I’ve introduced my group to Stoicism in the hopes of giving them the tools necessary to begin using their innate human reason to conquer the irrationality that they experience. Every healthy human being experiences irrationality from time to time, but there are those of us who strive for higher functioning in order to further separate ourselves from “the unreasoning brute creation” (viii. 12). Those that experience irrationality to a diagnosable degree can have exactly the same goal and are capable of achieving levels of success. Ian Guthrie, BA, is a graduate student pursuing licensure as a professional counselor. He is a psychosocial rehabilitation worker for a community mental health center in Kansas City, Missouri. In this article, Jules Evans envisages what a ‘philosophical CBT’ might be like, and how it could work…. Imagine being able to practice philosophy through the NHS. The idea is not as far-fetched as it sounds. In fact, therapists and counselors in the UK are beginning to put together something called ‘Philosophical CBT’, which could radically change how people see philosophy and the wider humanities. CBT, or Cognitive Behavioural Therapy, is now at the heart of the British government’s mental health policy. Successive British governments have committed a combined £580 million to a policy called Improved Access for Psychotherapies (IAPT), which hugely increases the availability of CBT through the NHS, and will train 6,000 new cognitive therapists by 2014. It is the boldest expansion of mental health services anywhere in the world. While many mental health charities have welcomed this initiative, others in the mental health industry have fiercely criticized it. Therapists from other traditions say it has too much of a ‘one size fits all’ approach, and that 8 to 16 weeks of CBT only offers a short-term fix that ‘papers over the cracks’. Others have criticized CBT’s intense focus on an individual’s thoughts and beliefs rather than their socio-cultural and economic context. Is Stoicism for the Mentally Ill, Too? 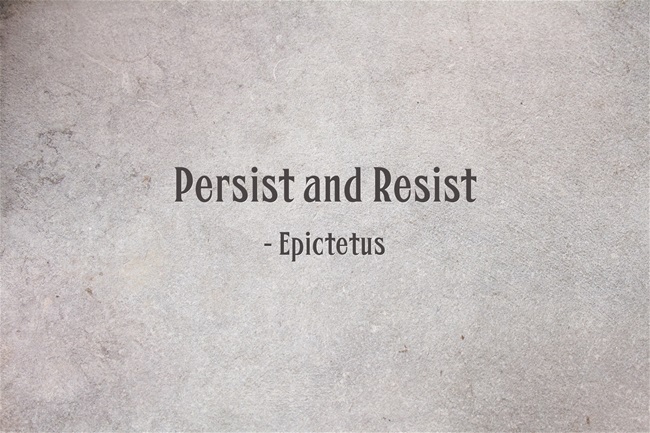 In my own studies of Stoicism, I had come to recognize some similarities between the subject matter and certain counseling perspectives such as Rational Emotive Behavioral Therapy (REBT), founded by Albert Ellis, and Cognitive Behavioral Therapy (CBT), pioneered by Aaron Beck. The population I work with consists of individuals with a wide age range from young adult to elderly, who are considered to be seriously and persistently mentally ill (SPMI). The majority of these clients are diagnosed with bipolar disorder or a type of schizophrenia, and a smaller percentage experiencing other mental illnesses including anxiety disorders or traumatic brain injuries. Considering the benefits that individuals receive from CBT and REBT, I thought they might also benefit from understanding the ancient philosophies, so I began considering how to educate them in stoic philosophy. I selected Marcus Aurelius’ Meditations because it provided short passages that could be broken up more easily and discussed within the time constraints of the sessions. The challenge hinged on my ability to translate Mediations into something accessible to this population of SPMI adults. I decided to keep the audience small: a weekly men’s group I had recently begun facilitating became the forum because it allowed more opportunity for each member to explore his thoughts as needed. Our sessions progressed slowly. After each passage, the group would take time to explore where the information was coming from historically as well as how it could be applied to their contemporary lives. Early on, none of the members showed either great enthusiasm or an overwhelmingly negative response. Clients were quietly receptive but offering only occasional remarks. However, after we finished the first book and began the second, a new client joined the group. I asked if any of the more seasoned clients would like to explain what we were discussing. One of the clients, “John,” who suffered a traumatic brain injury, with resulting memory issues, spoke up. He described Meditations and recalled the brief biographical information about Aurelius I had given the very first day, with a minor embellishment. “And this Marcus Aurelius guy is one badass dude.” At that point, it was obvious that these clients had developed some personal investment. Our sessions continued and they are currently ongoing. We are entering the ninth month and have only covered up through half of the fifth book. Different topics received varying levels of reception. For the purposes of brevity, I will highlight three topics, in no particular order, which seemed to resonate most with my clients. The first of these topics is personal productivity and following through with natural duty. Meditations v.1 reads, “At day’s first light have in readiness, against disinclination to leave your bed, the thought that ‘I am rising for the work of man’.” The passage goes on to discuss that to love one’s self, one would “love your nature, and nature’s will.” This was a fairly long passage. The clients usually have difficulty comprehending what the longer passages are about, but this one resonated to such an extent that many of them needed no interpretation. They understood, and they summarized the message perfectly. One client, “Peter”, diagnosed bipolar I, spoke about how he had always struggled with motivation, but he always felt better after being able to work on something and be productive. Most of my clients have been judged unable to maintain employment and receive government support. However, each noted having the desire to contribute to society. So, we spent time discussing how each member could satisfy his natural duty. Some have since begun taking steps to follow through on their ideas, such as volunteering or pursuing hobbies. The second Stoic topic that resonated with the group is self-regulation by rational thought. This is a topic that is mentioned frequently in Mediations and is a key concept in Stoicism. Several passages prompted lengthy discussions on the topic, such as the suggestion to “put from you the belief that ‘I have been wronged’, and with it will go the feeling. Reject your sense of injury, and the injury itself disappears” (iv.7). Following this reading, there was a brief discussion that beliefs prompt emotions which can affect how we carry ourselves through our daily lives, when all that need be done to control the emotions is to regulate those beliefs with rational thoughts. The men began sharing previous experiences where they had been successful in practicing this, such as being able to control themselves when confronted with aggressive and irritating drivers, or unsuccessful and envisioning how they ought to have acted differently. One client in particular, “Bruce”, diagnosed with paranoid schizophrenia, struggles greatly with paranoid delusions. When I read one of the passages relating to self-regulation, he immediately referenced his thought disorders, describing how hard it is to cope with from time to time. I encouraged him, in moments of particular paranoia, to consider his emotions and the thoughts that prompted those emotions and to embrace as reality only what he knew empirically. He has subsequently reported some small success in the management of his paranoia. As I have encouraged him to process his thoughts, he has begun to practice this on his own. The third topic is that of understanding natural events, not as good or evil, but as indifferent. Having a mental disorder is something that I point to specifically when this comes up. Stoicism encourages us to view events, like having a mental illness, toward which some in the group have harbored resentment for limiting their opportunities, as a thing that does “neither elevate nor degrade; and therefore they are no more good than they are evil” (ii.11). Rather, they should hold the perspective of the headland being constantly assaulted by waves, to adopt the view, “not, ‘This is a misfortune,’ but ‘To bear this worthily is good fortune’” (iv.49). When considering natural events, the idea of death is brought up, by both Aurelius and my clients alike. This is observably more difficult for some to accept than it is for others as a non-evil, natural indifferent. When mentioned as “no more than a process of nature” (ii.12), some clients did express some difficulty accepting this view. They described their experiences of friends dying at young ages and even some of their own brushes with death. In the Stoic sense, seeking death prematurely, such as is entertained in suicidal ideation, is in conflict with our natural duty to be productive members of society. However, in instances of a seemingly premature death (such as when a non-group member, female fellow client died suddenly of natural causes), Stoic philosophy would question the very idea of prematurity, “for the sole thing of which man can be deprived is the present” (ii.14). This usually prompts contemplation among the clients, and something I expect to discuss more as the topic is brought up in future sessions. The following can be gleaned from these sessions. First, my clients seemed to have benefited, not just from the topics presented in Meditations, but also from the philosophical depth of ideas. They have been challenged intellectually and engaged in healthy thought. Second, Stoicism provides a blend of both simple guidelines and complex concepts which have allowed the men the opportunity to engage Stoicism at their own level. Third, Stoicism, in its embrace of the rational, has the potential to provide SPMI clients with intellectual tools to aid them in addressing a world which may appear, by virtue of their respective delusions, overly irrational. Take for instance, the example of Bruce and his paranoid thoughts that cause him to view the world in emotional context. He has been developing the tools necessary to separate his emotions from his view of reality. Further, individuals with bipolar diagnoses suffer mood swings which affect their approach to life. Through encouraging a thoughtful and rational approach, they may learn to lessen the impact that their moods swings have. I admit to having some reservations before electing to share Stoic philosophy in the form of Marcus Aurelius’ Mediations with my clients. This was not because I doubted the worth of Stoic philosophy itself, but because my clients, individuals diagnosed SPMI, have somewhat impaired functioning and reasoning. This entire endeavor might have proven to be an exercise in futility. Even if the clients could comprehend Stoic teachings, they may have had no interest in them. However, in light of our sessions and to supplement conventional psychotherapies like REBT and CBT, I fully intend to continue on with Meditations and beyond as long as my clients will listen, because they have reported Stoicism has had a beneficial effect on their lives. This weekend, we are revisiting three of the posts on this blog over the last 18 months, which new readers to the blog (after Stoic Week 2013) might have missed. In this post, Tim LeBon looks at the philosophical side of CBT…. Epictetus: ‘A philosopher’s school is a clinic’. In the split second between stimulus and response lies a small space of freedom, which is our power to choose. That is why the philosopher gets off the bus. That is why Diogenes went looking in the city, carrying a lamp in broad daylight, saying ‘I am looking for a human being’. We must get off the merry-go-round and think for ourselves. We are born once only, twice is not permitted us. Because there is no guarantee or safety-net there for us, our lives are precarious and precious. We hunger for things that will give us sense and security, for meaning and purpose. We stockpile wealth and weapons. We feed on mood-altering substances like alcohol, drugs and celebrity. But there is an alternative path from an ancient pedigree: philosophical practice. Seneca: ‘The point is, not how long you live, but how nobly you live’. I founded The Philosophy Clinic in order to address and provide answers to the current crisis of meaning. Drawing on the wealth of worldly wisdom in the Western Socratic and, in particular, Stoic tradition, it aims to bring profound and practical philosophy to bear on issues of everyday life. Modern living has placed a great strain and stress on many people who are experiencing fragmentation and frustration, emptiness, existential distress and ethical confusion. There is a longing for guidance and growth, wholeness and healing. The Clinic aims to cater for such a context. Cicero: ‘Truly philosophy is the medicine of the soul’. The Greeks conceived of philosophy as a therapy of the soul and the site of spiritual/existential exercises. This understanding and interpretation reflects that of The Philosophy Clinic and infuses all our work. Courses and classes are offered to all those who hear the call and summons of Socrates to ‘Know Thyself’. Epictetus: ‘Empty is the argument of the philosopher which does not relieve any human suffering’. Our aim is to form more than to inform. We understand philosophy to be the ancient consolation and a way of life. Particular attention is paid to the practice of Prosoche, or awareness (attention) as the basis of all meditative practice; experiential exercises; group-work; Socratic dialogue; and journaling, are all part of the format and structure of the Clinic. Marcus Aurelius: ‘Let your every deed and word and thought be those of one who might depart from this life this very moment’. I offer Socratic therapy in the form of logotherapy and existential analysis to individuals and groups while philosophical counselling and coaching is offered by Barre Fitzpatrick to individuals, corporate clients and groups. Both members of the team consult to the corporate sector, myself through the Viktor Frankl Institute of Ireland: School of Logotherapy and Existential Analysis (www.logotherapyireland.com) and Barre through Stride (www.stride.ie). I had invited Jules Evans over to Dublin for a ‘Saturday with Socrates’ day where he spoke on his book, Philosophy for Life and Other Dangerous Situations. I gave a paper on a logotherapeutic reading of Boethius’ The Consolation of Philosophy. That was my first contact with the ‘Stoicism Today Team’ in Exeter University. Three Saturday seminars have since followed: both drawing on Stoic philosophy, especially on Marcus Aurelius. In the first seminar I gave an overview of Stoicism, laying out the core concepts, and introduced the central themes in Marcus’ Meditations. I spent a short time showing some similarities between Stoicism and Viktor Frankl’s logotherapy, which became the basis for a short article on the subject. My co-facilitator led the participants into an experiential exercise of prosoche which became concretised in a philosophy walk later in the day, after which they were introduced to the three disciplines of the soul (desire, judgement and action). The day ended with advice on journaling, a meditation and the Stoic practice of retrospection. The format consisted of group work, a lecture, a walk, and experiential exercises and meditations, as well as writing and questions. We felt the day was a great success and received some incredibly positive feedback.